I am a God feared, good hearted, honest, mature, loving and friendly sister who would like to meet Jehovah's witnesses friends all around the world to encourage each other and share pictures....and if you are the one....I can be a very good partner in life serving Jehovah next to you holding hands....I enjoy pampering my loved ones...I love cooking and enjoy the simplest things in life. I AM NOT IN THIS SITE TO PLAY GAMES AND WASTE PEOPLE'S TIME ..PLEASE!... If you want to visit Mexico, You are welcome. "Mi casa es su casa". Important: I love animals. I have a dog and a cat. 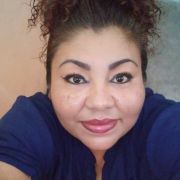 I am looking for a GENUINE spiritual Jehovah's witness, God feared, good hearted, good sense of humor, loving, honest and hard working brother who is really interested in a serious relationship to serve God with his loving and caring wife, someone who enjoys to be pampered and being romantic, who loves a peaceful and harmonious home, a mature and kind partner in life. marlet hasn't asked any friends to write a recommendation yet.